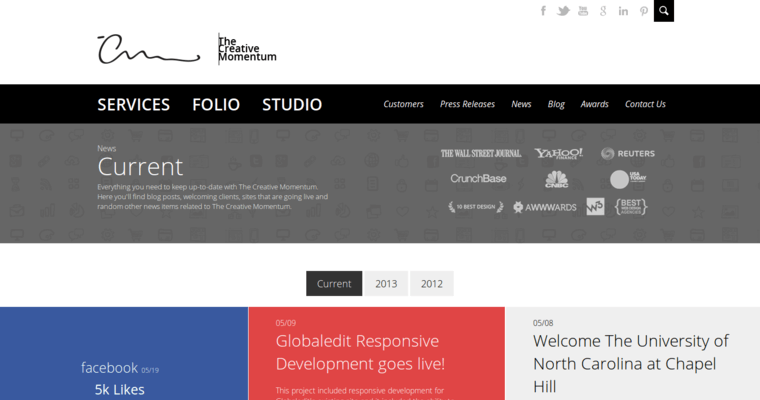 The Creative Momentum is a responsive web design firm based out of Atlanta, GA. A full-service agency--The Creative Momentum provides a variety of services. 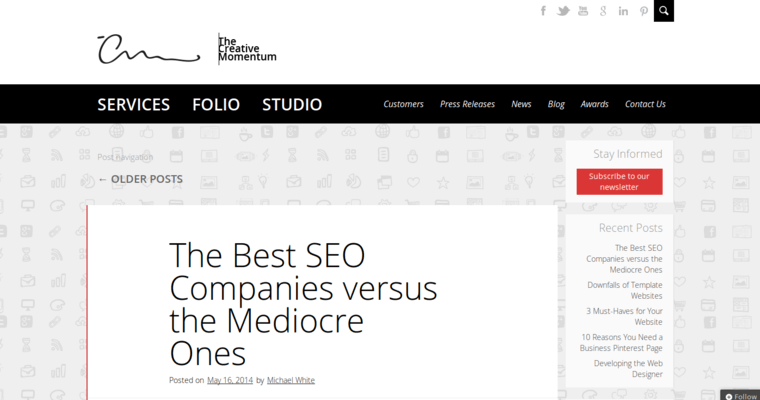 From branding to marketing to web design to consulting and everything in between--The Creative Momentum can handle any job thrown their way. Priding themselves on being at the cutting edge of the industry--The Creative Momentum is constantly looking for the next big idea. Winners of over 17 Academy of Interactive and Visual Arts (AIVA) Best of the Web awards across a wide range of categories including the prestigious Gold for branded video content. What's most impressive about this feat is that the categories allow small firms to compete against the big Fortune 500 companies. 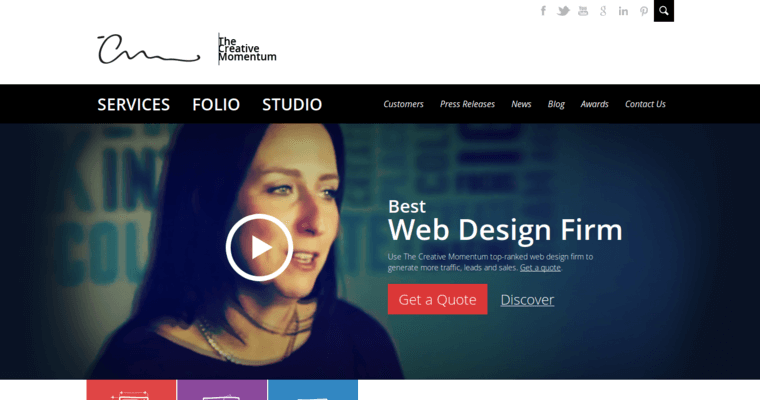 The Creative Momentum is ready to tackle any challenge as a team. Together the staff knows that more heads are better that one and it shows in the quality of their work. A dedication to being the best and pushing one another drives The Creative Momentum into the future.